If you are considering lake homes for sale, Lake Hartwell may just be the destination for you. Bordering South Carolina and Georgia, Lake Hartwell is on the Savannah River, just south of where the Seneca and Tugaloo Rivers meet. Lake Hartwell is one of the largest lakes in the southeast region of the country, offering some of the most comprehensive recreational activities around. If you’re considering lake homes for sale, Lake Hartwell may just be the destination for you. Bordering South Carolina and Georgia, Lake Hartwell is on the Savannah River, just south of where the Seneca and Tugaloo Rivers meet. Lake Hartwell is one of the largest lakes in the southeast region of the country, offering some of the most comprehensive recreational activities around. Anglers who appreciate a good hunt can cast their lines in Lake Hartwell, where the style of fishing can resemble deep-sea fishing at times. When fishing for the lake’s healthy and hearty population of striped bass, many anglers take to using trolling techniques in larger boats. You’ll understand why the bigger boat is necessary when you’re pulling in a 50-pound striper! You will also find catfish, walleye, bream, and smallmouth and largemouth bass throughout the lake’s approximately 56,000 acres of water. Fishing is only one of the many recreational activities to enjoy at Lake Hartwell. 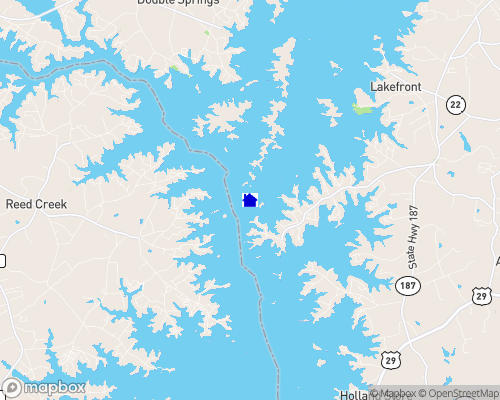 Lake properties for sale on Lake Hartwell are surrounded by many ways to access and enjoy the water. Among the numerous boat ramps that dot the lake’s 962 miles of shoreline, five marinas make for easy and accessible boating. Wakeboarding and tubing are popular ways to pass the day, and many can’t wait to flaunt their skills on a pair of water skis. Lake-view properties are close to all the fun and adventure around Lake Hartwell, from the nine full-service campgrounds to the teeming array of wildlife. Over forty different species of animals call the lake and surrounding areas their home; even black bears have betrayed their shyness for a cool sip and dip in the lake. While some people prefer to sit back and enjoy nature from the view of their lakefront property, adrenaline and outdoor junkies alike head to the Paynes Creek Campground for 7.6 miles of multipurpose and off-road biking trails. Golf is another prized pastime, with several courses located near the lake. If you’re interesting in living on a Lake Hartwell-area golf course, visit GolfHomes.com for more details and property listings. Lake Hartwell may seem like it is a private paradise in the wild, but you’re never too far from the conveniences and attractions of modern life. Within a 2-hour drive of Atlanta, Georgia, and Charlotte and Greenville, South Carolina, you’re always within reach of the action of big city life. Serious antique scouting is to be had in Seneca, at boutiques like Blackberry Hallow and House Accents. Clemson University is home to the South Carolina Botanical Gardens, where guests can explore the state’s rich bounty of natural beauty. From the tranquil seclusion of a misty morning shoreline to the echoes of childlike laughter carried on a breeze, Lake Hartwell captures it all to share with all. On the Georgia/South Carolina line at the base of the Blue Ridge Mountains, Lake Hartwell features 962 miles of shoreline and 56,000 acres of some of the best boating, water-skiing, and fishing in the southeast. It is conveniently located 2 hours from downtown Atlanta, 2 hours from Charlotte, NC, or 1 hour from Greenville, SC. Lake Hartwell serves 14,000,000 visitors each year. The "Normal" lake level is 660' above sea level. Hart State Park (330 Hart State Park Rd. Hartwell, GA): Camping. cottages, playground, beach, picnic area. (706)376-8756.